The "Venice on the River", Mantua, extends as a peninsula on the right bank of the River Mincio, dilated to form three lakes that are delimited by the access bridges to the city. 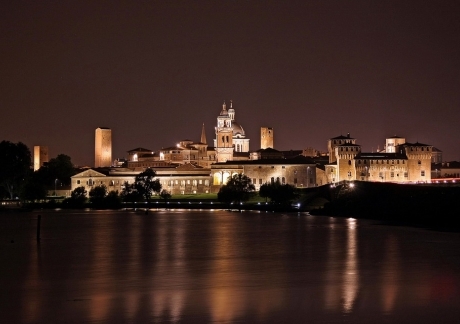 Mantova has met the richness and the patronage of the Gonzaga family who for four centuries have enriched the city, territory and palaces of art by calling to their court the best artists, architects, writers and musicians, thus transforming Mantua into a splendor Of the Italian Renaissance. Not to be missed is the Castle of S. Giorgio, recognizable for the four towers rising up, the Palazzo Ducale, the labyrinthic residence of the Gonzaga where from the middle of the 14th century. 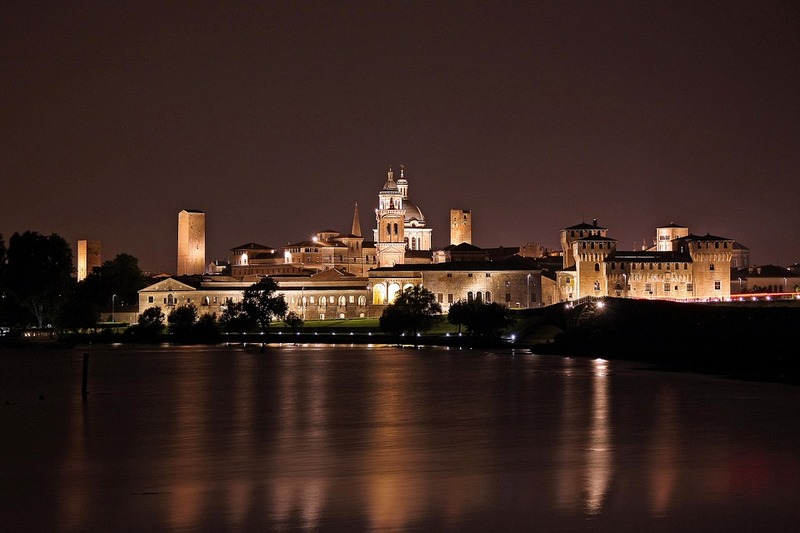 The political and cultural life of Mantua, the Episcopal Palace and Piazza delle Erbe, the heart of the city center, where you can see the Palazzo della Ragione and the Rotunda of S. Lorenzo, a church that goes beyond the majesty and beauty of the Duomo. Just outside the city we have Palazzo Te, a peripheral villa by Federico II Gonzaga. For those who love the bicycle Mantua can be visit well on two wheels. From here, in fact, numerous cycling trails immersed in the green and bordering the River Mincio are also taking off.